Q-Step is a French GUI with some English mixed into it. 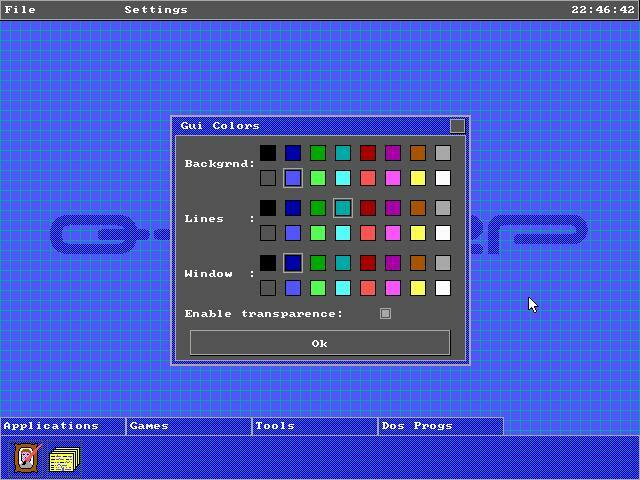 The GUI makes use of a transparency-like method by dithering the color once with the background. The GUI has some basic programs and a couple of games which shows the full performance of the GUI. Q-Step is very customizable and simple to use. Although it is limited to 16 colors in SCREEN 12 mode, it makes use of its limitations to the maximum.